Being able to find a portable GPS solution for your GPS tracking needs is going to be very easy. There are literally hundreds of units available to the person who is willing to keep their options open. You can find old GPS units that are not as powerful but are much, much cheaper or you can go with the top of the line in the GPS category of your choice and get the latest in functionality, but you are going to have to pay a premium for it. Most people know about GPS because of the navigation models that have flooded the market. The earliest models were once hundreds of dollars, but now you can buy a navigation GPS for under $50. This type of device is going to be used mainly inside of a car, truck, or van and is going to be used to help a person get from point A to point B. Modern portable navigation GPS have a variety of different features including Bluetooth compatibility, real time traffic updates, weather announcements, text-to-speech turn-by-turn directions, and a few others. These add a little bit to the experience of users, but when it comes down to it these GPS devices are really just beautiful portable maps. Marine GPS, as you might have guessed, are meant to be used on the water. They provide fisherman, boaters, and other aquatic aficionados access to important location information that we once turned to the stars to establish. With a good chart plotter you can find your way back to your favorite ocean fishing spot, a really nice beach, or a hidden island somewhere off the coast. These devices are surprisingly affordable and if you already own a boat you are probably going to be rich enough to buy one of these portable GPS units. The maps on these units is much like a navigation GPS except they might not have the same types of features as these navigational cousins have. What traffic is there on the open seas? What good is Bluetooth going to do you out on the ocean? That is why these devices generally ignore these features. But what you will get is a great GPS that is going to help you move about the water with confidence that you are heading toward your destination. Geocaching is a sport, or a hobby depending on who you talk to, that is very similar to a treasure hunt. How it works is that a person hides an object somewhere in the world. They then post the GPS coordinates of where they hid the item on a website like http://www.geocaching.com. Any person can then go on this website and jot down the coordinates of the treasure, or cache as it is called in the geocaching world. 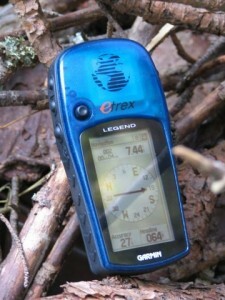 The person then goes to that cache using portable, hand-held GPS device like the Garmin eTrex H. Once they find it they take whatever treasure was hidden inside and then replace it with a treasure of their own. Geocaching is great for kids, hikers, and people who need a little motivation to get outside and get moving. Most caches are going to require that you use your brains and muscles together, making this a great sport for people who like to be active but also enjoy a mental challenge as well. A golf GPS is a portable GPS device that is going to help golfers get a better understanding of where they are on a golf course at any given point in time. They act as expert caddies that know the distance from any spot on the course to the hole, and with GPS helping out they are even more accurate than the best golfer around. These devices can be pretty expensive, but a golf GPS is a must have for a golfer who has trouble choosing the right club for the shot or who is constantly traveling to new courses. The Garmin Approach G5 is probably the best golf tracking GPS out there, but there are a few free applications available for the iPhone and Blackberry mobile phones. All of these are extremely portable and extremely useful for the golfer. Fitness GPS are meant to be portable by their very nature. What good is a fitness GPS going to be if you can’t take it out with you and a run or on a bike ride? Not very much. As a result manufacturers make these devices small and highly mobile. 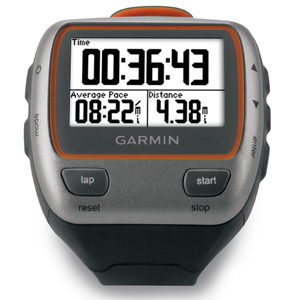 Some of the best fitness GPS equipment comes in the form of a wrist watch, the Garmin Forerunner series. There are also GPS devices for cyclists, kayakers, and swimmers – giving them all a very technical look at their workouts. These devices are really great because they help athletes improve their performance by being able to gather accurate and robust data on their workouts. They can then use this data to improve their routines and concentrate on parts of them where they need the most work. While not everyone is going to need to buy a fitness GPS watch, everyone would benefit from these powerful training aids. Another form of portable GPS devices are covert GPS tracking devices. These units are designed to provide tracking information on a person or asset. They are often installed covertly so that the person or assets doesn’t know about their presence. These are often installed on cars to track them, but they can also be installed in boxes, bags, backpacks, or even clothes. They can even be small enough to be comparable to a a USB memory stick! The thing about covert GPS tracking device is that they are not going to be cheap, especially if you get one that has real time tracking capabilities. If you just want a plain old vanilla data logger then you can find one for under $200. If you want a real time tracker that has any type of battery life then you are going to have to drop a pretty hefty sum on it. In addition to that you are going to need to pay for the tracking service and access to the GPS tracking software, which is probably going to run your anywhere from $15-$50 a month. Car GPS tracking is a lot like covert tracking except that you don’t care if the person driving the car knows you are tracking them. This is great for helping a teen driver drive safely or for recovering a stolen vehicle. If you are going to be using the portable car tracking device to help your teen drive better than it is highly recommended that you discuss this with them and give them all the help and information they need to know to be a good driver. No amount of GPS tracking is going to be able to make them a good driver unless they know some of the basic skills that make up a good driver. For that they need a parent. Theft recover GPS tracking is another use of car tracking GPS. While these devices can easily be blocked using a GPS tracking blocker, these devices are still relatively useful in because they do have a very high recovery rate. If your car gets stolen all you need to do is log on to your GPS tracking software service and you will be shown the exact location of your car in real time. This makes it very easy for the police to use to find your vehicle and make an arrest. Finally, the last category of portable GPS devices is the fleet tracking GPS. These units are made specifically for businesses that need a better way to manage, dispatch, and protect their vehicle fleets. Most consumers are not going to need this level of tracking so you probably won’t need to know too much about this type of tracking service. What you do need to know is that these devices are extremely expensive but often have wonderful results for businesses that employ them. I mean, just think about how useful it would be to be able to route, give directions, and monitor your vehicles with the assistance of portable GPS devices. The ease of it would be ridiculous. Generally speaking, small businesses have more success with the use of fleet tracking GPS than larger fleets – but almost universally there is an improvement when this technology is employed. Which Portable GPS Do You Need? As you can clearly see from the above analysis, there are three different types of portable GPS units. There is the unit that works like a mobile map. This GPS device is going to use the data it gathers from the Global Positioning System in conjunction with some mapping data already installed on the device. The coordinates that the GPS calculates via trilateration are placed somewhere on the mapping application and then displayed for the user to see. The navigation, marine, golf, and geocaching GPS all fall into this category. They generally have rich displays that provide a lot of information to their users. Usability and intuitive interfaces are among the top priority for these devices, and that means they need to have a reliable connection to a GPS signal, bright, readable screens, and an easy way to navigate about the menus. 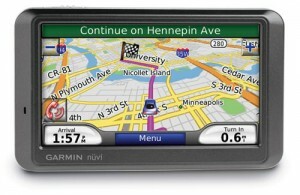 Major names in these niches include Garmin, TomTom, Magellan, Lowrance, and Navigon. The second category of portable GPS devices that we see in the list above is passive GPS tracking devices. This is the type of unit that does not have a digital map display but instead keeps a log of the GPS coordinates of where the device has been. This log is taken passively and is to be downloaded later for interaction with a secondary GPS software package. This software will interpret the information gathered by the tracking device and then spit it all back out in a way that is useful and makes sense to the user. This type of device can be found in the fitness GPS and covert GPS tracking categories. Items like the Garmin Forerunner 405, Garmin Edge 705, and the TrackStick all fall inside this grouping. While both the Forerunner 405 and Edge 705 have a graphic display, this serves more of a fitness function than a GPS function. Things like speed and distance traveled are displayed rather than their position in the grander scheme of things. In order to get that type of information you have to download your workout history and run it through a GPS software to see where your workout took you. The TrackStick has no graphic display whatsoever and is purely a passive tracking device. All you do with this GPS tracker is turn it on, place it where you want it to be, and let it do the tracking for you. When the battery runs out or when you no longer want to track that particular person or object you just remove the device and download the data. Your GPS tracking software will then interpret the data and put it on a map for you – but this map is going to be on your personal computer rather than on the portable GPS tracking device itself. And finally, the last category of portable GPS devices are real time GPS tracking units. This set of devices differs from passive GPS trackers in that the information gathered by the device is communicated in real time to the GPS tracking software. You don’t have to wait to download the tracking log from the device as it sends out the data actively at set intervals. These real time GPS tracking devices use a system know as GPRS (General Packet Radio Service) that is part of modern cell phone networks. It is the means by which this information is communicated to the GPS tracking software. If the GPS is unable to connect to a network where it can transmit the data you cannot get real time tracking with these devices. As you can clearly see, the number of portable GPS units is astounding. Depending upon what GPS niche you are looking to get a device in will impact your level of choice significantly. There are some brand names that span many different categories, which the GPS giant Garmin being the dominate force in many categories, but there is no one clear leader in all fields of GPS devices. Be sure to read up and get informed about any particular device you are thinking about buying. While all of them are going to be using GPS to do what they do, not all portable GPS devices are equal.